Could you please update it for Skyrim Special Edition. We haven't tested it extensively, so please let us know if something isn't working correctly. 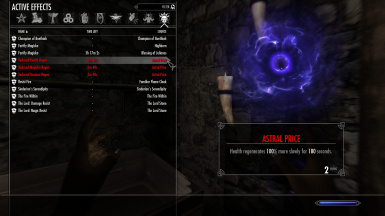 i had no idea this was here i have been looking for these two spells for a while but didn't want install a huge magic mod just to get them (or in two cases install multiple mods). so i agree this mod is still important. Excellent Mod. Very useful. I tweaked it a bit to give the 'merchant' extra gold and now I can klepto my heart out. lol Thank you for this. If you have a moment, could you explain how to tweak so the merchant has more gold? i really like this mod. it is very simple, and let's me keep on adventuring without having to worry about heading back to town if i don't feel like it. A bit more gold for the merchant would be nice, but i really don't use it that much, mainly just for getting rid of junk items i might of grabbed by mistake. 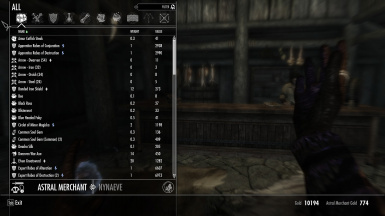 I've played skyrim less then a year ago with a couple of 'unoficial skyrim patches for different DLCs' along with those mod and it all worked perfectly. 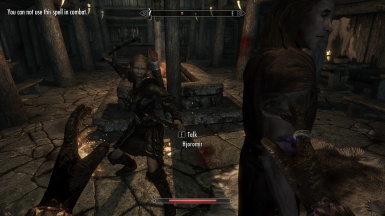 In the mean time I've deleted Nexus, but not skyrim and now that I reinstalled it everything works, except this? is there any special way to instal this to make it work or what do i do? 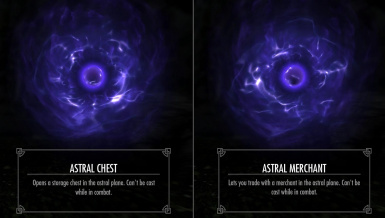 Any way you can give the Astral Merchant more money? 750 isn't much one you are at higher levels and collecting valuable loot. 5K or 10K would be more like it! Great, is working like a charm. Thanks you very much! lol @ people still not using SkyUI. Good mod by the way, endorsed. 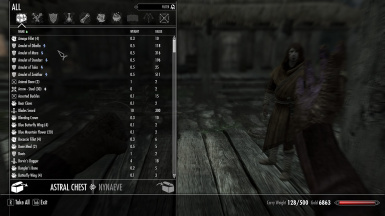 This mod doesn't change or depend on any specific UI, so it should work with the vanilla UI.